3. Gear shifting reminding: It will remind the driver to gear up to save fuel when the engine speed and vehicle speed come to a certain ratio. 4. Battery voltage: when the battery voltage is less than/reaches 12v, the caution light will light up to remind. 6. Rotation speed: indicates the rotating status of the engine and the scale measured represents the speed reached. 13. 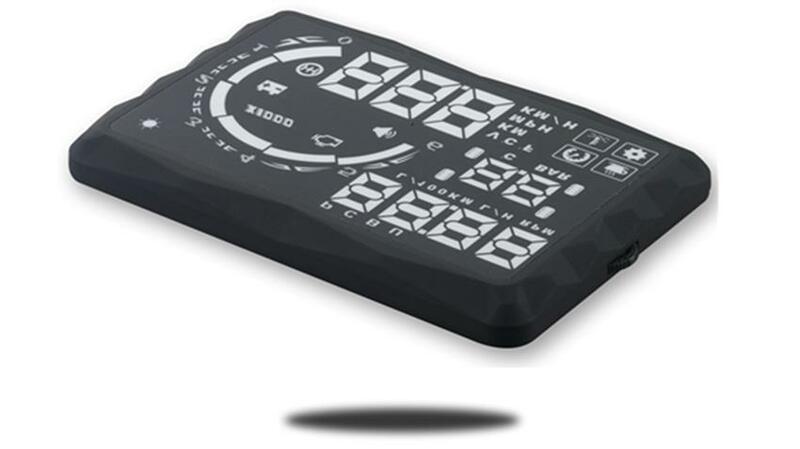 Instant 100KM/instant fuel consumption unit ：displays fuel consumption of one hundred kilometers when the vehicle is moving, in L/100km. 19. Overspeed reminding: the icon of overspeed will flicker and alarm when the vehicle exceeds the speed limit set up in advance. 21. Water temperature: When the temperature reaches 100 degree centigrade, alarm will be given automatically with alarm light turned on.performance of the vehicle’s acceleration per 100km.